PTI chief Imran Khan invited PML-N stalwart Chaudhry Nisar Ali Khan to join his party while ruling out an alliance with PPP. Imran made the aforementioned statements while he was having an informal chat with journalists. The cricketer-turned-politician said that if Chaudhry Nisar contested the election as an independent candidate then his party could support him. “However, it would be better if he joins PTI instead,” said Imran Khan. 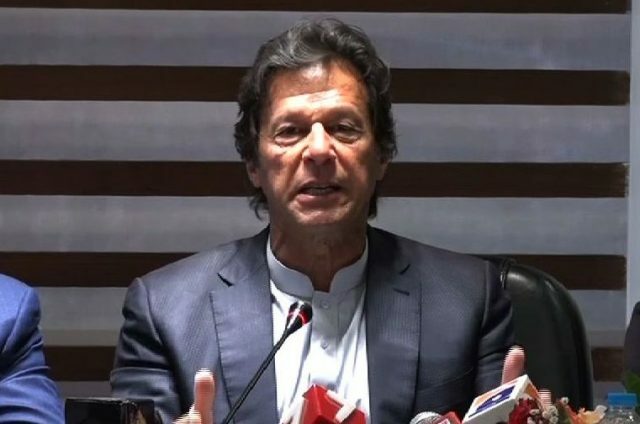 In response to a question, Imran Khan said that he could not form an alliance with Bilawal Bhutto Zardari since that would mean he would be entering into an alliance with Asif Ali Zardari.